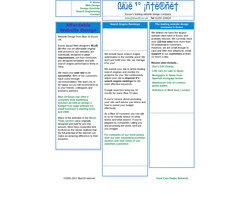 Training, Security, Networking, Multimedia, Web design and hosting. 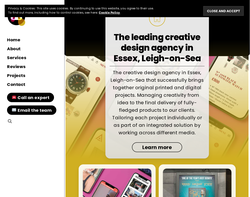 Author Studios is an independent Essex design agency located in the picturesque parish of Leigh-on-Sea. We work closely with brands and clients from around the world across a wide range of disciplines to deliver incredible results, time and time again. We specialise in advertising, graphics, photography, product and website design, so take a look at we can offer you … We bring cutting-edge, innovative design to life by building a bespoke package that is tailored specifically to you. Our Essex design agency agency introduces products to market through an extensive approach to both print and digital design, and constructs fully integrated solutions for our portfolio of clients. We provide a professional outside perspective that gives you the tools to effortlessly sell your products and services. We also handle overall marketing and branding strategies. We undertake design services such as writing content, alongside the design and manufacture of a final product. Our Essex design agency welcomes anyone with an idea and fulfills every project with a level of care and enthusiasm rarely achieved in the industry. Over the years, we have formed lasting relationships with clients from up-and-coming fashion houses to established high street brands, from small distributors to global publishers. Naturally this has made us the first choice in many eyes to complete a variety of different projects. Our expertise in marketing has opened up our services to search engine optimisation (SEO), PPC advertising (AdWords), and both email and social media marketing. Our Essex design agency has gained knowledge in global communication by specialising in creating and launching brands as well as re-branding. We create, plan and manage strategies closely with our clients to deliver the best possible results. So what are you waiting for? Contact us today to meet the team and discuss the requirements for your next job. 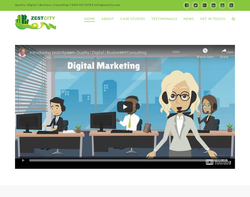 Web design, CMS, e-commerce, surveys, newsletters, live chat, and graphic design. 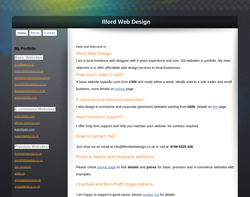 Web site design, hosting and search engine submission. 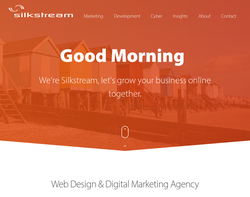 Established in 2002, Silkstream have been providing web-related IT services to large and small businesses across both private and public sector organisations. 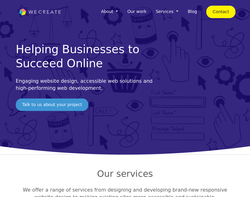 We offer a range of services including website design, database development, website and email hosting, domain name registration, online marketing and search engine optimisation. 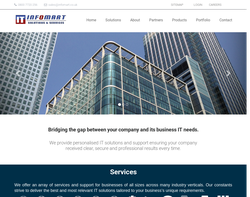 Professional website design and database integration. Web design, web application development, graphic design, e-commerce, CMS, database integrqation, SEO, PPC, e-mail marketing and web hosting. Web design, online shops, content management, e-comarketing, and graphic design services. Web design, e-commerce solutions, CMS, consultancy, and infrastructure planning. Advert Design, Art Directing, Brochure Design, Business Card Design, Catalogue Design, CD Cover Design, Charity Pin Box Designs, Charity Pin Designs, Compliment Slip Designs, Corporate Design Style Guides, DVD Cover Design, E-Newsletter Design, Flash Animation, Folder Design, Form Design, Illustrations, Instruction Book Cover Design and Templates, Invitation Design, Leaflet Design, Logo Design, Marketing Material Design, Newsletter Design, Packaging Design, Photography, Point of Sale Display Design, Poster Design, PowerPoint Presentations, Print Management, Product Cosmetics and Rubdowns, Product Mock-up and Spraying, Re-branding, Report and Accounts Design and Printing, Stationery Suite Design and Printing, Style Guides and Design Templates, Swing Tag Graphic Design, T-Shirt Graphic Design and Website Design including e-commerce. 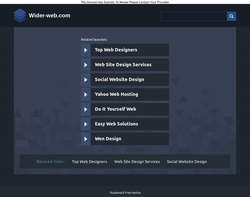 Web design, CMS, SEO and hosting. We are an experienced, multi-disciplinary design studio. we create considered, original, effective design solutions. 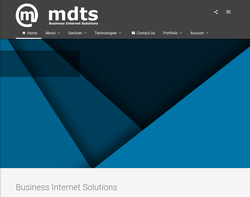 A fully integrated accessible W3C DDA compliant CSS web design and IT solution, providing, IT security, Content Management Systems, training, network assurance and recovery solutions. 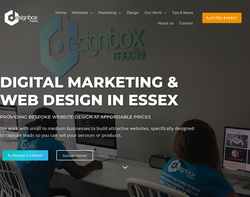 Web design and search marketing company dedicated to providing bespoke web solutions to small businesses in Essex. 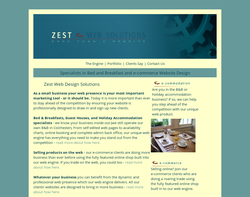 Freelance web design creating attractive, low cost websites for business and individual clients. CMS, ecommerce web sites, free hosting and email included. 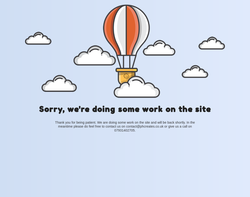 Dynamic website specialists. 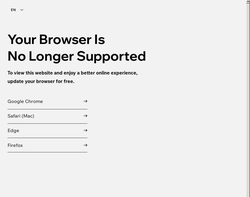 Don't settle for an old style brochure website. Sell online, edit your website content online, add membership, booking, chat and much more. Hosting & Search Ranking inc.
Website, Ecommerce and Database developers. We can design, devolop and deliver web based solutions fast and on budget. 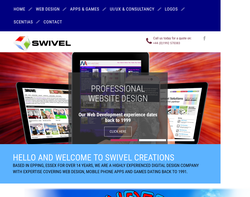 Colchester based Website Designers. 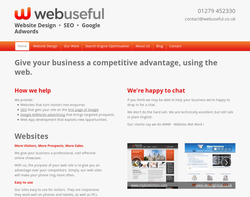 Specialising in websites for the leisure and tourism, B&B' s and e commerce. Friendly and professional service. 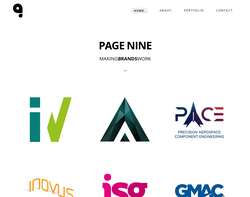 Page Nine is a creative agency with a focus on brand from design to delivery, on creating a real competitive advantage. 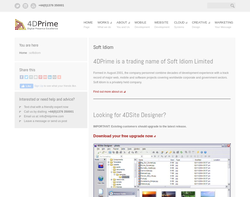 Website design and development company specialising in database to web applications. Typical products include ticketing systems, webshops and electronic invoicing (e-invocing or eVoicing). 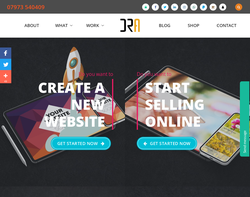 Web design agency specialising in database driven applications, bespoke e-commerce systems, content management systems, PC to SMS text messaging, etc. 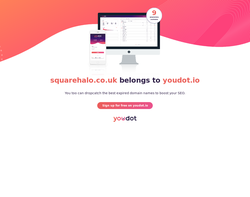 Check our website for more details and portfolio. 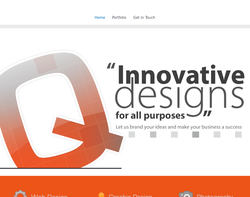 Amanda Design has an extensive range of designed and constructed websites to prove a great track record in web design. 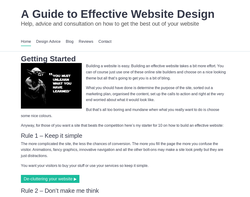 If you need an online presence with e-commerce solutions, managing your own content by updating your news section or writing your own blogs Amanda Design can offer the freelance web design solution. 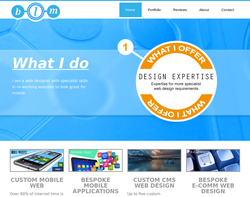 Web design, web development, search engineering and motortrade sites. 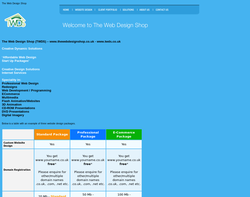 The Web Design Shop focus on website designs for start-up, small and medium businesses. 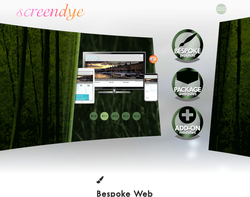 Website Design, Graphic Design,Brochure Design, Leaflet Design, Logo/ Brand Design, 3D Graphics. Web design, hosting, programming, e-commerce, CMS and website promotion. 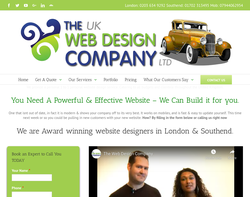 Ilford based web design services - providing professional web design solutions. 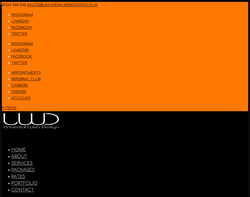 Bespoke and off the shelf websites ranging from single page to database driven. 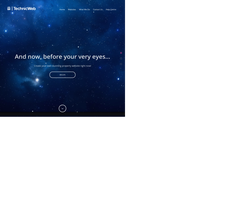 Sites start at �99.00. All packages include hosting, email accounts and one domain name as minimum. Full technical support services are included with our bespoke packages free of charge. 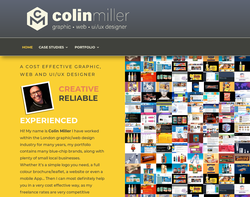 I'm a Freelance Web Designer & Front-End Developer and a self confessed perfectionist. I'm currently based in Braintree Essex in England, and I have been in the creative industry for 7 Years. I have worked on a variety of projects from start up businesses to larger sized businesses around the world. When working on projects for my client's, I work from the ground up. Starting off with brainstorming and initial ideas and concepts, right the way up to the final build, deployment & hosting of the client's website. I strictly work to the client's needs and requirements, and always provide constant communication with every project I work on. At Loaded.com web design, we will turn your dream website into reality. Our skilled web designers are able to build your website around you and your ideas using any information provided to maximum effect. 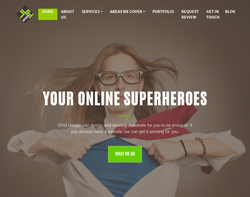 You provide the text and images, then let our web design team do the rest. 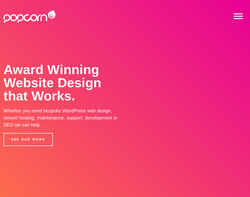 Customised websites from scratch For a website built to a very specific spec, Bloom provide a truly customised web design service including logo, header, promotional images and layout design from scratch. 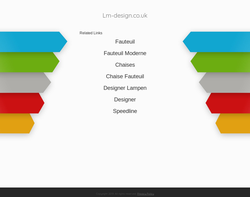 Bespoke Mobile Websites Custom graphics and layout for the impact you want! These mobile websites will get across ALL the essential information to your potential customers fast. Call to find out more. Bespoke E-Comm Websites Promotional images tailored to your specific requirements to tie your brand in with your top products. An initial suite of custom promo slides is included in the price. 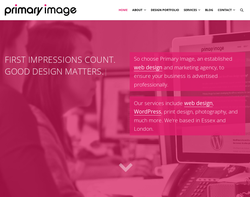 Based in Westcliff-on-sea (Southend-on-Sea), Primary Image provides web design services to small and medium-sized businesses throughout Essex. 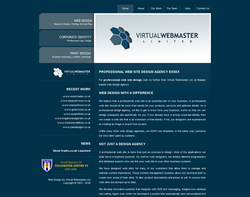 The company has over ten years' of experience in creating professional website designs. Primary Image also offers print design and marketing services.Please visit the website for more information. 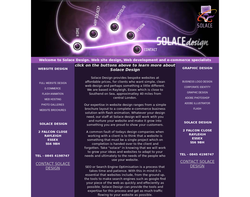 We offer the full website design service. 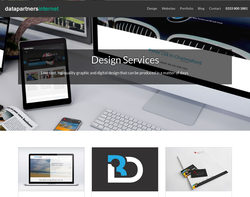 IRC Direct Website Services is double award winning and specialise in bespoke CMS websites. We offer excellent bespoke e-commerce websites designed for hitting the highest tiers of the search engines. We work closely to develop your website over time so you not only get a great search result but also a personal service where you feel comfortable and happy. We offer free domains and web hosting with our service and we are double award winning. 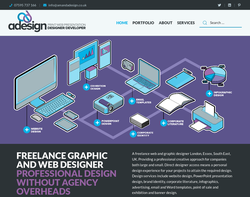 We offer responsive web design, logo design, leaflet design and business card design at affordable prices. 123Connect offer a wide range of web based services including web hosting, domain name registration, website design, website development, search engine optimisation, social media marketing, cloud backup, and E-Commerce services. 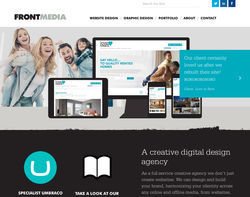 One Base Media are a forward-thinking creative agency based in Essex. 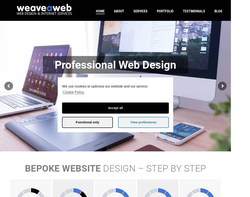 We offer beautiful bespoke and custom built websites, we ensure that each website is completed with the utmost care and attention to detail. 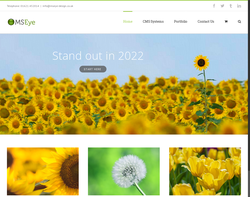 Mays-Media provide a full range of web services which include High Quality Custom Website Design, Development & Search Engine Optimisation by an Experienced Website Designer who will work closely with you to ensure you get exactly what you want. 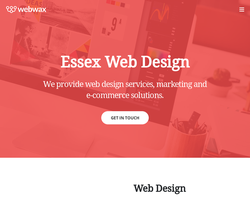 Webwax is a Chelmsford web design agency. We create websites that are engaging, simple to navigate and have SEO (search engine optimisation) as a cornerstone of the build. We design a variety of websites from simple brochure website to full blown eCommerce solutions and large dynamic websites built on CMS platforms. 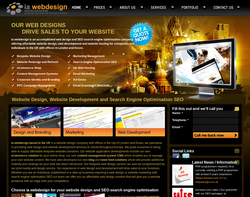 In offer website design, internet marketing, SEO, ecommerce stores in Essex. Company is located near University of Essex in business Park. They provide high range of service directed to improve your website visibility in google and increase your selling. 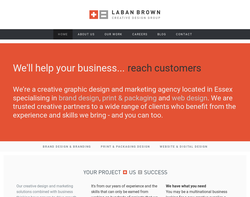 Laban Brown Design is a creative design agency based in Essex. 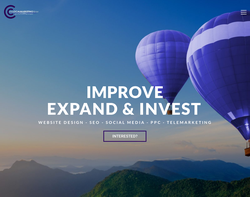 We create brilliantt websites for clients of all sizes to help grow their businesses and increase sales. We have won a Gold Essex Digital Award for our Monkey Madness Play Centre website and a Silver Essex Digital Award for their our own Laban Brown Design agency website. 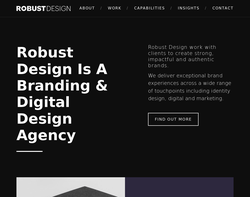 A client recently said "it was like turning on a tap of business when the website went live..."
Robust Design can provide you with a range of unique and creative solutions, from print and digital media to branding and website design. 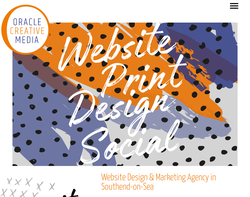 From a simple website to a fully-fledged database or e-commerce site, complete with content management system, Oracle Creative Media offers a full range of website designs and services. 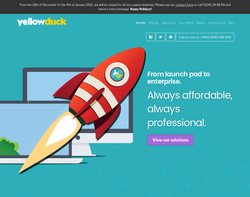 All websites are bespoke and state-of-the-art, optimised for viewing on both mobile and desktop platforms. We also offer SEO to help improve your website's click-through via Google and other search engines. Here at Talk!, our skills go way beyond basic marketing and website design, we believe that our services offer solid, distinct value to our clients: helping them strengthen their online presence and grow their brand awareness. As a Google Partner Agency, we are highly skilled and experienced in Google Analytics, Google Adwords and SEO Management, ensuring that your business gets the attention it deserves. 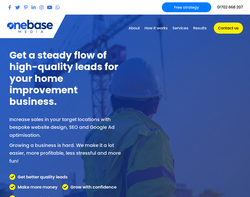 We love building websites that make a difference to our customers and our customers' customers, and inject passion, dedication and life into every company we work with. 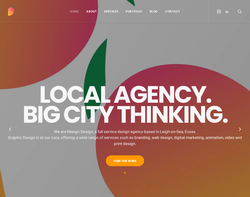 Mango Design focuses on create outstanding results that deliver a powerful punch when it comes down to branding, design work and website. Mangos team are on hand to develop a relationship to fully understand your aims that you're looking to portray through tone of voice and brand guidelines. Our extensive portfolio of research and development has opened Mango to the world of many niches. Its beneficial for a company to understand a customers industry to ensure a strong message is outlined throughout your brand. 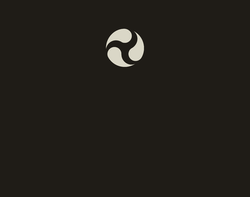 We Create Digital is made up of hugely experienced web developers fuelled by a genuine passion for technology. Our attention to detail and client-focused approach guarantees that we develop solutions that meet the requirements for all projects - both large and small. Our user-centred approach ensures that your website is easy-to-use - maximising the number of customer conversions and revenue generated from your website. PH Creates is a creative design and marketing consultancy. We offer services within Web Design, Logo Design, Digital Marketing and SEO. No matter what size your business or what industry it belongs to, a website is the most crucial component of your marketing strategy. With dedication, a hardworking team and natural creativity we aim to provide you with the help that you need. 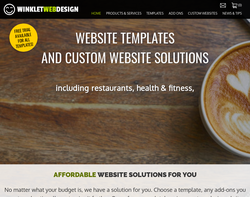 Winklet Web Design offers affordable prebuilt html websites with a variety of add-on features as well as complete custom website solutions. At The Local Marketing Team, we are on a mission to deliver better marketing to small/medium sized businesses, create bespoke content and introduce new mediums of marketing, we will deliver national style marketing to independent companies and provide a dedicated Marketing Manager all within a strict, local budget. We take time to understand our clients desires to create the right marketing strategy bespoke to them. We are local, based in Elmstead Market with our office being open between 9 - 5. 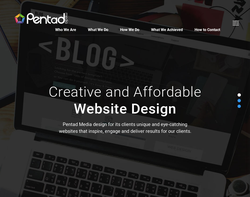 Based in Essex and established since 2003 we are specialists in WordPress offering a comprehensive web design service, ecommerce website development, bespoke web development and web hosting service for commercial and non-commercial clients based in Essex, Kent, Hertfordshire, Suffolk, and the South East of England. 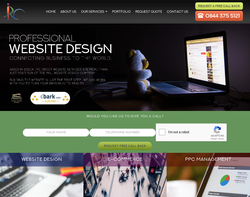 Based in Essex, Pixelbin is a web design company servicing Essex, London, and Surrounding areas. 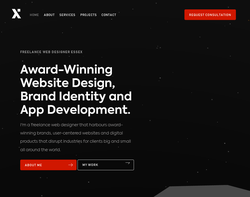 Our award-winning team of web designers, web developers, and branding experts have over a decade of experience helping our clients realise their ideas. From a custom WordPress theme to eCommerce, web applications, api development, websites and plugins, We will help you transform your personal or business concept into a successful digital product. 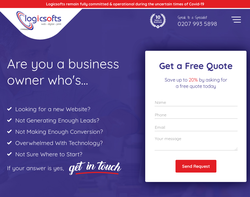 BestSEO4u is a full-service digital marketing agency providing high-quality, bespoke website design, SEO and online marketing services to businesses across all sectors and all areas in London.